Despite Angela Davis' record of anti-Catholic advocacy, Gonzaga University in Spokane, Washington, announced that it will be “proud” to host the communist speaker "whose activism and scholarship have been deeply involved in our nation’s quest for social justice." If the scandalous lecture is not cancelled, the Catholic campus will welcome Davis on Oct. 25, 2017. 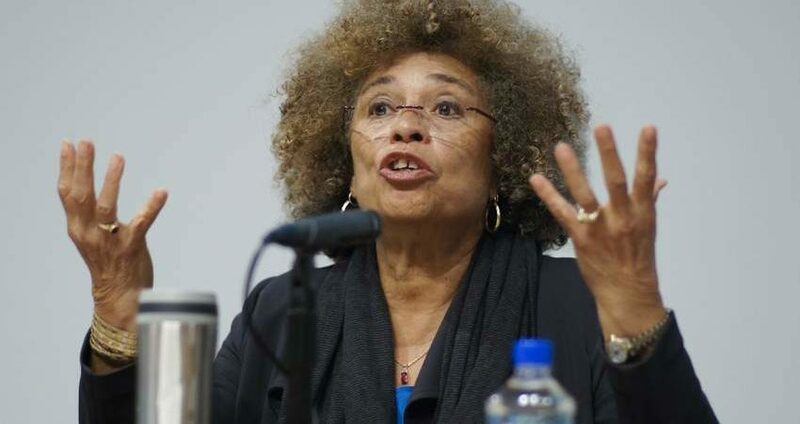 Angela Davis ran for vice-president of the United States on the Communist Party ticket and supports regimes responsible for the greatest genocide in history. In 1979 Davis was awarded the International Lenin Peace Prize (formerly the International Stalin Peace Prize) by then-communist East Germany. More recently, she delivered a speech in Detroit proposing "socialism for us all." Davis was also active in the Black Panther Party and was a friend of the Freudian, Marxist intellectual, Herbert Marcuse. For a period of time, she was on the FBI's 10 Most Wanted List. 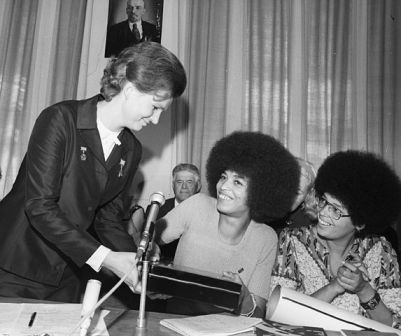 Angela Davis with Soviet Cosmonaut Valentina Tereshkova. A portrait of Lenin hangs in the background. In addition to her personal associations with communist parties across the globe and black nationalist terrorists, Davis called for the killing of UCLA’s board of regents and even supplied several criminals with firearms used to kill a judge. She was also an admirer and correspondent of cult-leader Jim Jones, who instigated the murder and suicide of over 900 of his followers. Aside from “proudly” allowing the promulgation of communism by providing Davis with a Catholic platform, Gonzaga University's invitation tacitly supports other abhorrent views which Davis pushes: Abortion, homosexuality and racial revolution -- all of which run contrary to Catholic doctrine. What type of vetting process does Gonzaga University follow to pick its speakers? Is basic Catholic teaching even remotely considered as a guideline? Would any revolutionary speaker not qualify? Gonzaga University must be well aware of Davis’ open contempt for Church teaching. So the question that needs to be answered is: If Gonzaga truly wishes to celebrate the cause of justice, why is a public proponent of procured abortion -- one of the greatest injustices of all time -- invited to campus as a "hero" of justice? Why is Gonzaga "proud" to host a communist activist who supports brutal and godless regimes that murdered countless innocent people and continue to trample justice in countries where communism still crushes family values and basic rights? In 1949, the Vatican released the Decree Against Communism. The document, published under the pontificate of Pope Pius XII, not only condemned communism as such, but declared that all Catholics who “defend” or “promulgate” the ideology are excommunicated ipso facto. TFP Student Action invites its members to contact Gonzaga University and call for the immediate cancelation of Angela Davis' talk on campus. Catholic universities should not be soap boxes for communist pro-abortion revolutionaries to push their unjust views. 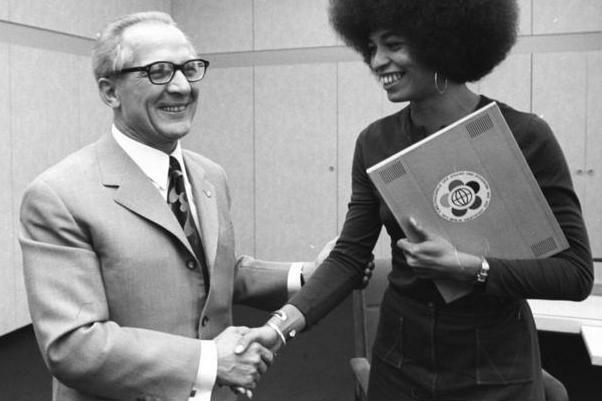 Angela Davis posing for a photo with East German Communist leader Erich Honecker, who was tried for ordering the executions of innocent civilians.